The thief inside your home. That's how my mother refers to any car we've ever owned. She has a point, you know? You need to fork out a lot of cash to buy one. And then there is petrol, maintenance, insurance, rego...and any extra expenses that may come up. All of that to have it parked 95% of the time on average. Not to mention that a vehicle loses you money. What I mean is, it's not an asset that appreciates over time. Instead, it loses value. Still, all of this never stopped my family from having a thief inside our home...sometimes even two or several at the same time. Yes, we needed a car to move around and get places. But also, because my dad loves driving. Something I inherited from him too. Some of my favourite memories from childhood include spending hours over the weekend on the road. We would go for long drives to the mountains in the winter or the beach in summer. There is something therapeutic about driving. I find that driving somehow clears my head. But, that could be just me. I was thinking about this as I read an article on how we may be reaching 'peak car'. 'Young people continue to turn away from cars, with only 26 percent of U.S. 16-year-olds earning a driver's license in 2017, a rite of passage that almost half that cohort would have obtained just 36 years ago, according to Sivak Applied Research. Likewise, the annual number of 17-year-olds taking driving tests in the U.K. has fallen 28 percent in the past decade. To be clear, they are not talking about cars completely disappearing, but that at 1.3 billion, the global car fleet may be reaching a peak. And they give two reasons for it: time and money. I get it. Driving can be a waste your time. You spend time driving, looking for parking...and that's if you don't get stuck in traffic. Having your own car is also expensive. Cars have been increasing in price in recent years...and so have the loan amounts to purchase them. If you are like me, and you use a mix of your own car, public transport and ride sharing, transport costs can add up. And leaving your car parked to take a ride share is definitely inefficient. When do they predict the peak will be reached? The article comes as ride sharing app Lyft announced its Initial Public Offering (IPO). And Uber could be revealing theirs in the next few months. As more people move into cities, we could see many starting to forgo owning a car. And there are many arguments for it. The main one is that using ride sharing could be cheaper. What could make using them cheaper than cars is that they will be used constantly instead of being parked most of the time, and all riders will be sharing the costs. I think they could even make extra money by providing services as you ride. Think about the mint or bottle of water Uber riders offer you as you ride...but profitable. You could get a coffee or watch a movie as you sit in traffic. But the big claim is that robotisation will make these services cheaper. 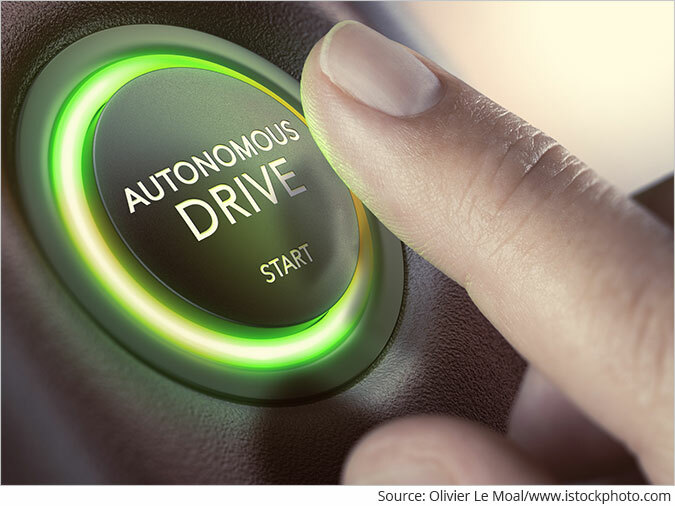 Autonomous vehicles will get rid of drivers - and their salaries - and be able to drive 24/7, which will reduce costs even more. In fact, car manufacturers are already looking into this, that's why many of them are getting into electric cars, autonomous cars and car sharing. But I see a couple of problems before it happens. For one, there is a lot of competition in the hail riding space, and it's increasing. The other problem is that companies like Lyft and Uber haven't shown us any profits yet. The main culprit: drivers. Or to be specific, their salaries. Yes, ride sharing apps are spending a lot in salaries. But remember that drivers pay a lot too. They provide the car, insurance, wear and tear...cleaning fees. They may be looking at autonomous vehicles to reduce costs, but these will most likely still need humans to supervise. And, they may not be as cheap as they promise. A recent study by the Harvard Business Review found that robotaxis wouldn't be cost competitive when compared to owning an older vehicle any time soon...In fact, it would cost users three times more on a per mile basis. Because of their utilisation rate, that is, they would spend more time driving around looking for a fare than driving people around. We may be reaching peak car ownership, but I think it will be a long time before we see ride hailing apps become profitable. Please note: This article was first published in Markets & Money on 6th March 2019. Equitymaster requests your view! Post a comment on "Why You Shouldn't Buy the Robo-Car Hype". Click here!